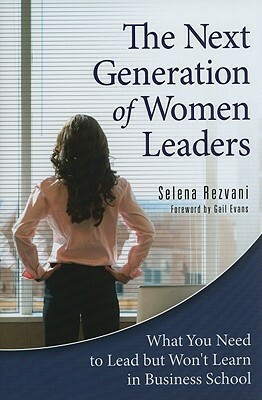 Selena Rezvani says in the introduction to her book that she is both disheartened and frustrated by the lack of women in CEO and other leadership positions in business in the United States. While attending business school, she became a schrewd observer of how women are socialized into positions of influence and power versus how men are socialized. Wanting to encourage women of her generation to buck those confines of socialization into lower rungs of leadership, Rezvani penned The Next Generation of Leaders. I’ve never attended business school and, quite frankly, don’t ever plan on doing so, but I’m always fascinated by books that claim they can teach me what an MBA program would or at least supplements what is taught in an MBA program. I believe we all should be life long learners, but this proliferation of works in this area says to me that even those who go through rigorous MBA programs know that there is more to business than what you can learn in those classrooms. I’ve been involved in our family manufacturing corporation in one capacity or another since we purchased it nearly 25 years ago. I’ve sat through countless leadership seminars and read hundreds and hundreds of books. I’ve scoured online curriculum to see what leading MBA programs are recommending their students read. This is all to supplement the hands-on education I’ve been getting while actually working in a business and I won’t lie, y’all. The amount of testosterone in those programs and books is often depressing. That’s why this book was a breath of fresh air for me. Rezvani spoke to hundreds of women leaders at various levels and in various industries around the country and came to a few key conclusions: there is no such thing as having it all and to pretend there is is damaging, no one is successful by themselves or by being someone other than themselves, and the way women are socialized into emotive positions can be beneficial as long as you don’t flip into doormat mode. I will absolutely be keeping this book on my self and recommending it to anyone in my position – a young(ish) woman in leadership in a typically masculine industry. This is both a book you read and one you refer back to. I enjoyed it with coffee. I received a copy of this book from my day job.